By Amahusian Pvc Green Suction Hose pipe & Delivery Hose pipe are flexible, Good resistance to various chemicals reduces resistance to flow & light in weight. 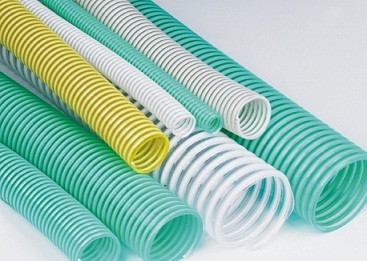 Pvc Green Suction Hose pipe is abrasion resistant. Substantially lighter than multilayer, reinforced rubber tube. Smooth bore reduces resistance to flow. Good resistance to various chemicals. Green Suction is productive, flexible, and adaptable to a wide range of materials and methods. Eliminate, drain, and save tubes used outside. Close internal valves providing outdoor tube bibs. Launch the outdoor tube bibs to allow water to empty. Maintain the backyard valve launch so that any water remaining in the pipe can expand devoid of causing the pipe to spoil. Suction operations in Civil Engineering.